Black Cloud Bitters is a producer of non-potable bitters. We value craft and the journey of beverage creation and seek to provide our customers with a unique experience as they explore our flavour profiles. Our goal is to introduce you to our bitters and then to walk you through the various options of pairing them with spirits, non-alcoholic mixes and food. And all of this should be fun! You seek an experience; we view our product as that experience. We currently produce eight flavours of bitters which are savoury, aromatic, fruity, and woodsy. For a summary of these flavours click here. Our bitters are positioned towards culinary and mixology professionals, home bar enthusiasts and a range of imbibers exploring beverage and food creation. We deliver that experience through two unique products: Single 4 oz bottles for each of our flavours, and Sample Packs which are comprised of 5x 1 oz bottles of all of our flavours. Each 4 oz bottle has 100 dashes of bitters (i.e. one dash = one dropper) which support 50 beverages. Each Sample Pack has 125 dashes in total to support 60 cocktails. The Black Cloud Bitters brand (and logo) is built upon a font that was inspired by the framework of guides and rules used by draftspersons, architects, and designers in sketches, drawings and blueprints. The font is then set upon a rich black ink cloud taking form in a liquid. The metamorphosis of the ink cloud symbolizes the diffusion of a bitter as it introduces character to its surroundings. 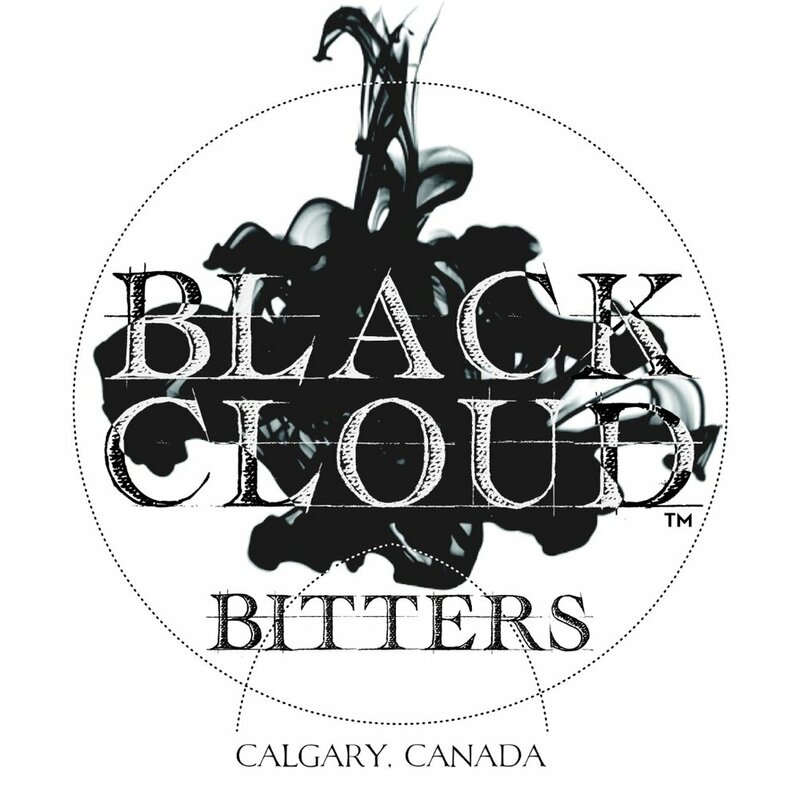 The Black Cloud Bitters brand signifies artisanship, craft and symbolizes the evolution of the journey that takes place when our bitters are paired with a variety of beverages and food. Our bitters are made by hand. This includes production, bottling, labeling, capping and packaging. Our commitment to craft is in every bottle we produce. Our batch numbers are written by hand on all our labels and all our packaging. As all our content marketing and media creation is done in-house, our craft extends into our on-line and print narrative. We also provide comfort in beverage creation and strive to ensure it is fun and rewarding experience via content we deliver to our subscribers via our Newsletter, our Blog, Social Media channels, and our website (i.e. Recipes). If you are a retail consumer, we have a retailer map that highlights the retail partners that carry our product here. If you are wholesaler, you can contact us via email to obtain pricing, product and marketing support information and also the password to have access to our media here. Both retail and wholesale customers can subscribe to our Newsletter as we share unique content with each group catering to their specific needs. We have also had the good fortune to have various levels of media coverage . If you find it helpful to see what others are saying about Black Cloud Bitters you can read about and see it here.